Moving. It is something we don’t do quite often, but even when we do – most of us don’t do it right. Because we don’t know how. And that is how it all goes down. Without us really knowing what’s going on. Well, that is not how things are supposed to be. Not at all. Moving should be a positive experience. Right? And if you are a senior moving – you already know it. It can be a hassle. But, it doesn’t have to be. Not if you find the right mover for a job. So, let Verified Movers help you find one! Keep on reading and learn more about senior moving! Yes, there are such movers. There are many different moving companies on the market. And many of them specialize in senior moving. But, before you jump to conclusions, be sure to remember one thing – to stay away from moving scams and fraudulent movers. We are all exposed to this type of cones, but there is a way to avoid them. And it is quite simple. All you have to do is to take your time when researching moving companies. Compare them. Ask all the questions that interest you. This is not a good time to be shy. Not at all. One of the best senior moving tips out there is to start completing your tasks on time. The easiest, quickest and most efficient way to find a senior mover is by looking for one online. But, you should be careful. You can’t believe everything you read online. And you know it. Take your time and provide yourself with enough space to find a mover that can satisfy all your moving needs. Read online reviews and the fine print. 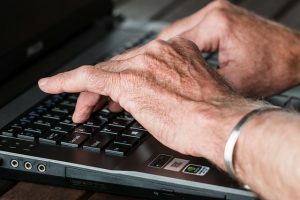 Feel free to use our database to find a professional that specializes in moving seniors, and you won’t make a mistake. 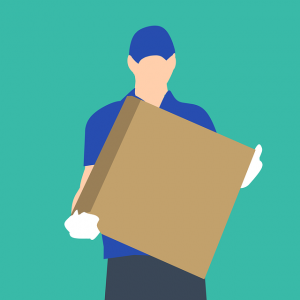 If looking for a mover online isn’t exactly your cup of tea – you can always ask the people you rely on for some references. This approach might take a bit more time, but hey – you know what’s best for you! Someone you know has moved in the past for sure, and all you have to do is to ask. Yes, it is that simple. So, be patient and take your time. Someone you know is going to point you in the right direction at some point! Red flags are everything at this point. They really are. So, look for them. And if you see any – look for another mover. Right away. There is no point in risking your safety or the safety of your belongings. They should always come first. Senior moving professionals won’t ask you for large money deposits. And if a mover asks you for one – it may be a moving scam. No contract? No deal? Handshake deals aren’t your best option. Trust only fully licensed and properly insured movers. It really is, And you already know it. No doubt, That is why you should start on time. Or even before the time comes. The more time you provide yourself with, the better. Moving can be complicated, confusing and hard. However, having some extra time on your hands – well, let’s just say it is a good idea. Find the right mover and enjoy your fresh start. Follow helpful moving tips and stay organized during this whole process. From the earliest stages. to the very end. It is really important. So, get a notebook and start writing everything down. Every idea that comes to your mind. Every task that needs to be completed. And every problem that needs to be handled. There are many out there, but yes – making a solid strategy is the best one anyone can ever give you. Moving or not. And if you do – you will complete them all in no time. You should do everything that is in your power to make this whole process easier on yourself. And besides finding the right mover for the job, not postponing any of your tasks – there is not much left for you to do. Say goodbye to all items you don’t need or use anymore. Pack your items with care. Opting for professional packing supplies is the best thing you can do. The safety of your belongings matters a lot, and by getting some professional packing materials you will provide just that – safety for your most valuable items. Stick with professional packing supplies and ensure your belongings’ safety. This step is of crucial importance. So make sure you do it right. Go through your house, attic, and basement and make an inventory list that should include every item you are planning on moving. It will help you while packing, and most importantly – it will make the unpacking process much easier. You don’t really need everything you own. there are many items in your household. Many of them. But, you don’t use them all. Or need them, for that matter. So, declutter. Sell, donate or recycle them. The less you have to move, the better. 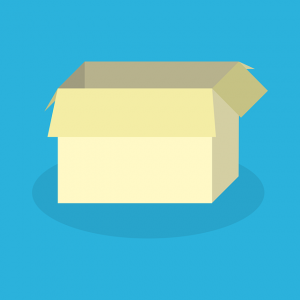 Use a proper packing guide and make this whole process quick and simple. Or hire a mover that can take care of this task for you. Do whatever fits you the most, but be sure to make the right call. Because moving is all about making the right choices. And if you decide to pack all by yourself, make sure you label every box with its contents. It will help you unpack faster. In the end, the best thing you can do is to hire a professional that specializes in senior moving. This way, you will give yourself enough time and space to enjoy your new beginning. And who doesn’t like that? We sure do! ← How to transfer utilities to Pennsylvania?